Never mind that the whole point of campaign stickers and buttons is to have them displayed as widely as possible. Never mind that including pictures of campaign materials in an encyclopedia is clearly covered by fair-use doctrines. Apparently Garvey Schubert Barer hires idiots. I wonder whether they will make a public apology for doing something stupid, but they’re lawyers, so I doubt it—they probably still think that they can make a case for it being the “right” thing to do. The takedown order has been withdrawn, but the media storm about it is just about to start. I understand that the Clinton campaign is starting to attack Sanders, which I think is a strategic error. Part of what has been making the Democrats electable is that they have been behaving like adults, rather than petulant toddlers like the Republican candidates. In fact, I think that a lot of Democrats have been secretly hoping for Sanders/Clinton double-bill, with the primary mostly about who gets top billing. I know it goes against the grain of American politics to have a competent person as a vice presidential candidate—but it would be nice to have two competent people, either of whom would make a good president, working together as President and Vice President. If the Clinton and Sanders campaigns start throwing mud or engaging in dirty tricks, then it will be nearly impossible to put together such a winning ticket. Personally, I’m rooting for Bernie, as is most of the town I live in (Santa Cruz has been described as The Leftmost City), as I am tired of center-right politicians like Obama and Clinton being described as leftists or socialists. Why does the media allow the wingnuts on the far right to redefine the “center” far to the right of where the center really is? The International Society for Computational Biology is finally getting serious about improving the coverage of computational biology in Wikipedia. Contest information can be found at Wikipedia:WikiProject Computational Biology/ISCB competition announcement – Wikipedia, the free encyclopedia. The prizes are not big (first is $500 (US) and a year’s membership to the ISCB, second is $200 and a year’s membership to the ISCB), but either one would look good on a resume, and the service to the community is useful even for those who get no prizes. I’ve been thinking about another approach to providing a low-cost textbook for the circuits class: bundling a number of Wikipedia articles into a Wikipedia book, like the Introduction to Electronics one. The idea is an appealing one, as many of the Wikipedia articles are excellent (better written than many textbooks), we can customize what topics to include, small errors in the text can be corrected, and students can either access the “book” online, download it in in PDF, ZIM, or OpenDocument format, or even pay for a printed copy. The downloaded or printed copies will be frozen, while the live Wikipedia book gets updated every time one of the contained articles is edited. We could provide frozen copies on the course web site, as a precaution against major rewrites removing information we expect students to read. The Introduction to Electronics Wikipedia book does not have exactly the subjects we would need for our course, but several of the articles there are appropriate. One attraction of this approach is that we can tailor our book to have exactly the content we need (assuming the articles we need exist) in the order we want. We can design our course by listing the topics we need in the order we need, and automatically have a text that matches. 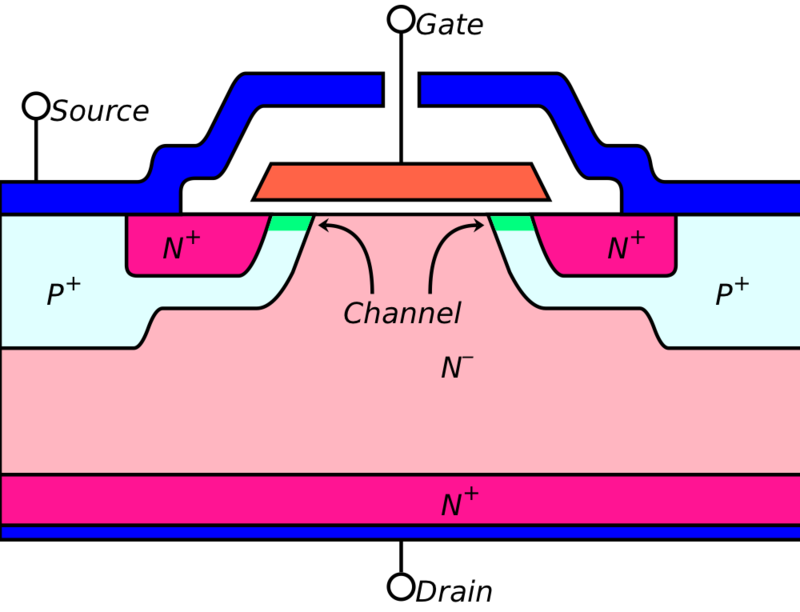 Given the somewhat idiosyncratic nature of our course (from basic circuits to EKG design, with side trips into electrodes and possibly fluidics modeling), we’re going to have to cobble together multiple sources anyway, so a Wikipedia book may be a good way to create the main text. No matter what text we use, we’ll have to supplement with manufacturers’ data sheets, which can’t be included in a Wikipedia book because of copyright restrictions. One disadvantage of Wikipedia books is that the articles in Wikipedia are by different authors and have no implicit ordering, so concepts cannot be developed in a gradual manner. Individual articles are written at very different levels of sophistication, and some articles will have only a few sections that are relevant to the course. The book would not be as smooth as a well-written textbook, but better than many of the poorly written ones on the market. I believe that we can add some manually created text (part of the book, but not part of Wikipedia) to introduce chapters, but I’m not exactly sure how (probably it involves including pages that are part of Wikipedia user space rather than public space). Note: Wikipedia books are different from WikiBooks, which are from a project to create crowd-sourced free textbooks. The electronics books currently available from WikiBooks are very incomplete and not as well written as Wikipedia articles, so I don’t think that they will be useful this year. I started playing a bit with Wikipedia’s “Book Creator” and found it to be a very awkward interface. Clicking on pages to add them to the book being created worked ok, but dragging the pages around to reorder them did not and the claimed button for adding chapters never appeared. Furthermore, once you save a draft book, the book creator assumes you want to start a new one, so clicking on pages can’t add to an existing draft. It seems that the book creator is damn near useless after the first 5 minutes, and after that you just have to edit the book like any other Wikipedia page.